Magic's new set is available in stores. Power up your decks with destructive Gremlins, massive airships, and legendary artifacts. 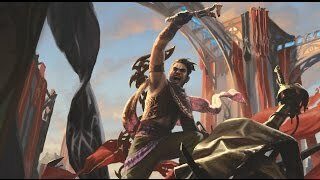 People of Kaladesh, it is time to rise up. We've seen the Consulate's "progress" and their "promises." Inspectors on every corner and surveillance thopters peeking in our windows. Aether diverted from poor neighborhoods to fuel undisclosed programs. Thousands of inventions stolen from their creators. Peaceful automatons morphing into military enforcers. The moment Grand Consul Tezzeret installed his policies was the moment we lost our freedom. We will take it back. Stand with us on the barricades. Make the Consuls listen to the truth. Stay safe, stay aware, stay true. Help us create the world you want to live in. Make Ghirapur our city again! Sram serves as a reminder of what the Consulate should be: tirelessly vigilant, brilliantly talented, and dedicated to the good of Ghirapur. His only failing is that he stands with the establishment even as they plunge into corruption. We should remember that it was the highest authorities inside the Spire that started this downward spiral, not people like Sram. That said, we should keep his engineering teams busy with some "spontaneous bridge rotor malfunctions" to cut off the movement of the Honorable. Though the Consul of Allocation in name, we know Kambal answers to no one but himself—which is just another way of saying he can't be trusted. While he's willing to sell aether allotments to anyone with the right bid, he's just as willing to turn over a wanted renegade to the Consulate for the right price. Kambal has his hand in every deal in Bomat—including incognito transactions at the newest locations of the night market. If you're feeling daring, look for a man whose mask has clockwise filigree patterns on the left cheek and ask him about "the swift barge." Just don't let him get a good look at you. Before the Grand Exhibition, Rishkar was just a visitor to the city of Ghirapur from the wilds of Peema. After seeing the scope of the Consulate crackdown and the ramifications of aether shortages in Peema, he took a stand with us. His connection to the natural world affords him a particular understanding of the movement of aether and the ability to maximize its effectiveness. If you're looking to get the most out of your allotments, seek him out! The Cowl is one of the last places in Ghirapur where we can escape from the Consulate observation thopters, and Surash has allowed us to be his guests. Don't be alarmed by the spiders, they're trained to avoid contact with those bearing the symbol of the leaking spire. Keep watch for specially-tended blue foliage in the Cowl. These plants mark the location of supply caches. Remember: always leave some tools and a little aether for the next inventor. Most Scrappers are loath to give out trade secrets for fear of giving an edge to the competition, which makes us all the luckier to have Advika among our cause. Her designs tore through the automaton fighting leagues, and if they can do that, the Consulate's factory-line drones don't stand a chance. Advika is offering lessons on automaton and personal augmentation to those with a fighting spirit. If you're in Weldfast, look for her signature on the warehouse and inquire within. Magic's new set arrives on January 20. Pre-order Aether Revolt today at your local game store. 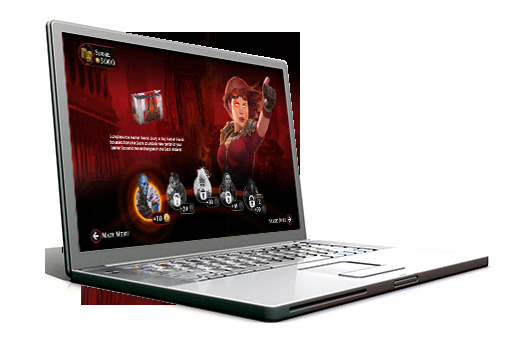 Start playing Magic Duels today and take your place among tens of millions of Magic players worldwide.